This photo of a Snowy Owl was taken on February 2nd, 2014 on the outskirts of Sioux Falls, South Dakota. 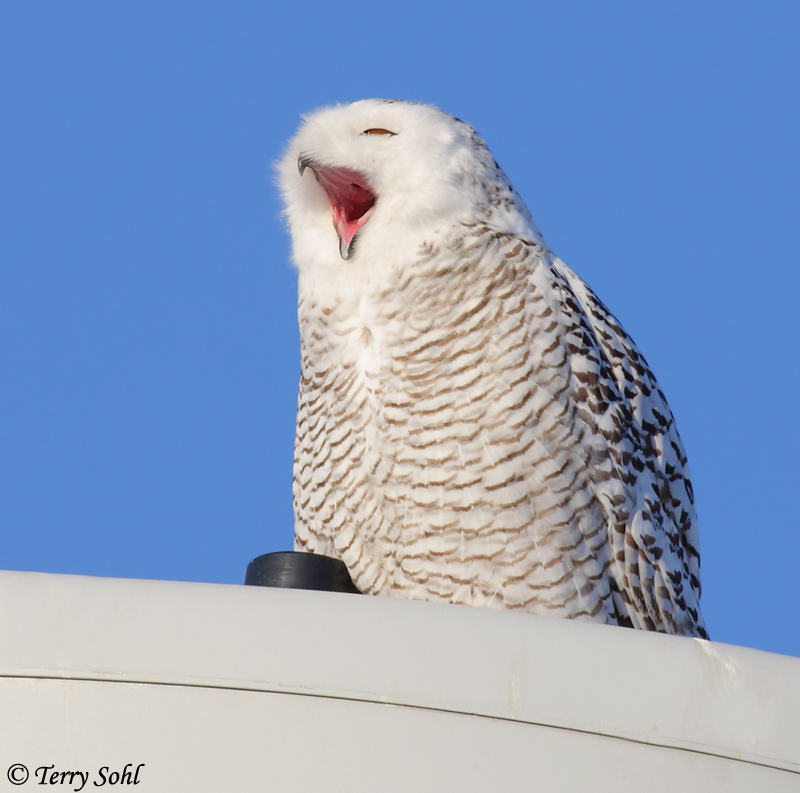 We get our share of Snowy Owls here and there in the winter, but they're usually few and far between. SO nice to have one show up literally right across town...and to cooperate and give me a great pose as well! Photo taken with Canon 50D, 400 5.6L lens.